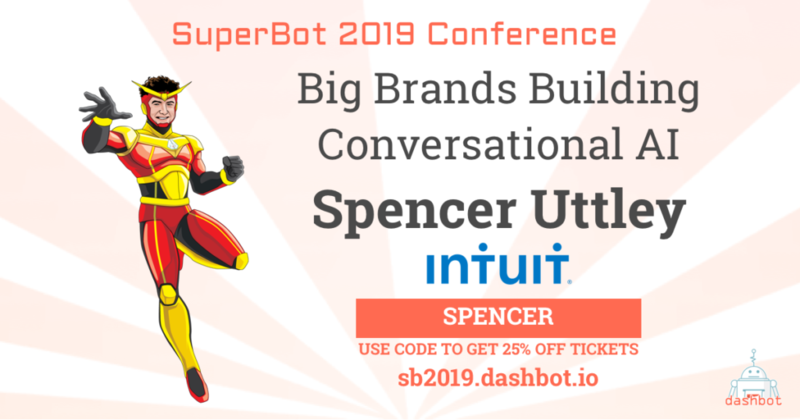 At SuperBot 2019, product expert Spencer Uttley will share QuickBook’s development of the QB Assistant, a chatbot-powered analytics tool and how it’s changing the way people crunch numbers. Spencer leads the development of the conversational experience at QuickBooks Ecosystem, known by their small business and self-employed customers as the QB Assistant. Prior to the QB Assistant, he helped launch the QuickBooks Online Accountant (QBOA) by leading multiple work streams to build key product features and coordinated efforts across multiple departments to ensure the product was a great end-to-end customer experience. Spencer also led the prototyping and customer testing efforts to design the navigation architecture for QBOA. He received his BS in Marketing and Entrepreneurship at the University of Wisconsin-Madison. He also served as CMO for JonnyPops shortly after graduation, developing initial branding and the targeting strategy for the natural desserts manufacturer.